Irish. 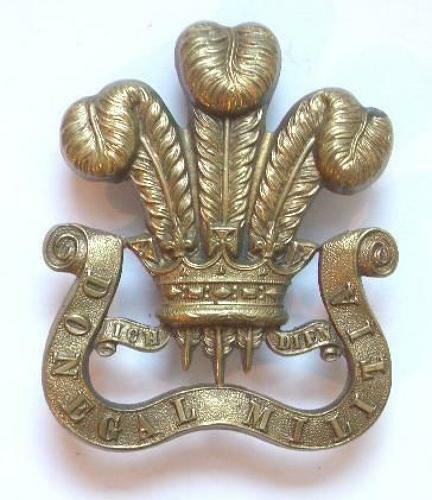 Prince of Wales’s Own Donegal Militia Victorian OR’s glengarry badge circa 1874-81. A fine scarce die-stamped brass example on loops. Prince of Wales’ plumes resting in a curled scroll inscribed “Donegal Militia”. (KK 1275) Raised in April 1793, HQ in 1817 was Ballyshannon, redesignated Prince of Wales' Own Donegal Militia 1855 when four of its twelve companies converted to Artillery. In 1874 it moved HQ to Lifford; redesignated 3 Brigade North Irish Division Artillery in 1881.